Mid-State Construction’s geothermal division began in 1997 with an unusual request for quote from a contractor in Georgia to drill a grid of thirty boreholes three hundred feet deep. 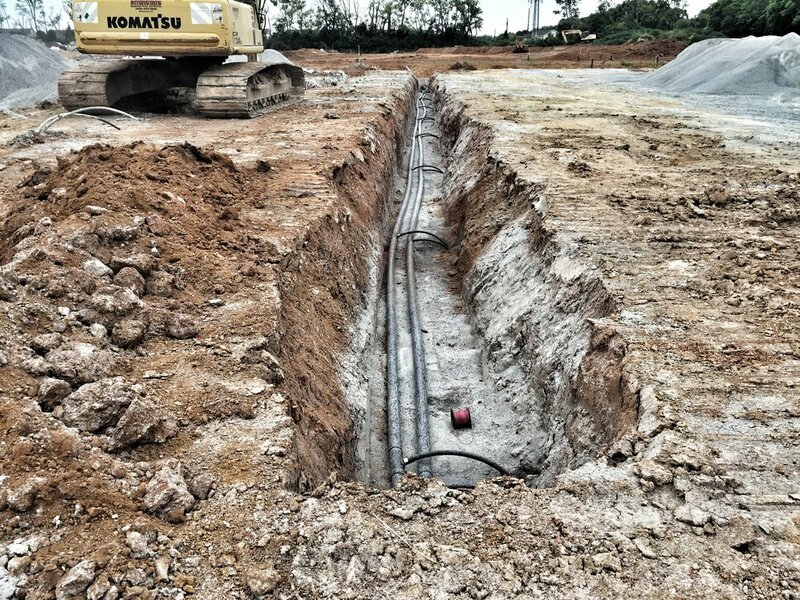 Since that chance encounter and introduction to the geothermal heat exchange field industry (HEF), our geothermal division has experienced tremendous growth. We've completed over 100 geothermal HEF installations totaling over 4.4 million vertical feet (833 miles) of vertical bore hole drilling. Our geothermal HEF installations are a mixture of K-12 & Technology Schools, Private & State Colleges, Commercial Offices, Custom Residences, Criminal Justice Centers & Prisons, Municipal Buildings, and Federal Facilities. Mid-State Construction’s geothermal services include geothermal test boring and thermal conductivity testing (92 thermal conductivity tests to date performed), vertical, horizontal and lake loop geothermal heat exchange field (HEF) installations as well as design-build turnkey geothermal HEF installations utilizing our Certified Geo-Exchange Designer on staff. Additionally, our services include specialty high density polyethylene pipe (HDPE) systems design and/or build installations such as horizontal boring, lake heat exchangers and manifold header piping.